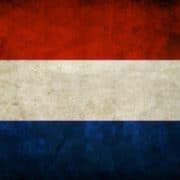 Do you want to dedicate (a part) of your holiday the next summer to improve your Dutch? Language Corner offers intensive 2-week Dutch summer courses in Amsterdam in July and August for the beginners level (A1) and the elementary level (A2). In the regular summer courses all the aspects of the language will be covered, so speaking, writing, listening, reading and grammar. On this page you can find the lay-out of each Dutch summer course in Amsterdam.